Luke founded the company in 2006 and is responsible for the company’s strategic direction and overall management. Prior to Faction, Luke was theManager of the Integrated Operations Center at SunGard Availability Services, where he was responsible for the operations of over 5 million square feet of datacenter space worldwide. 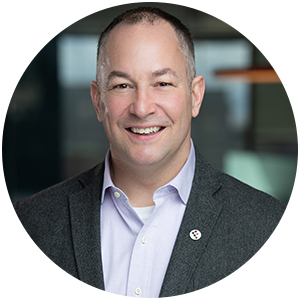 Before joining SunGard, he was the Senior Security Officer for Kroll Factual Data and chaired the Mortgage Information Standards Maintenance Organization (MISMO) security group. Luke has authored five technology patents, three of which have been approved while two are still pending. 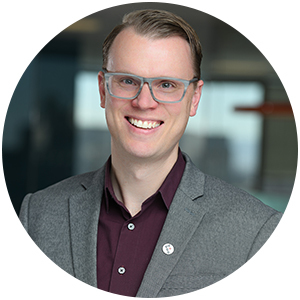 Luke is a three-time nominee for the Denver Business Journal’s “40 Under 40” award and has been named one of ColoradoBiz’ “25 Most Influential Young Professionals.” He has been a distinguished presenter at VMworld in both Barcelona and San Francisco. Sean is a proven technology entrepreneur and executive with a track record of successful ventures to his credit. 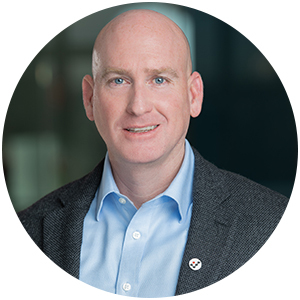 Prior to joining Faction, Sean was President of Humach, where he led the expansion and evolution of the company’s technology portfolio and key technology partnerships and guided corporate strategy. 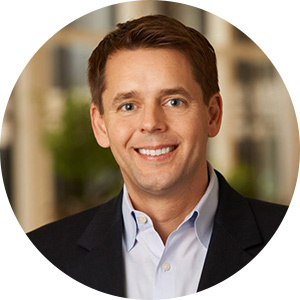 Sean was also Chief Operating Officer and Senior Vice President at ISIGHT Partners (acquired by FireEye in 2016), where he led of all aspects of the business, including operations, engineering and product development, product management, global intelligence, and customer success. In addition, Sean was co-founder and Senior Vice President of SoftLayer Technologies, which was acquired in 2013 by IBM for more than $2 billion, and he gained extensive international experience spearheading global business development efforts for Efficient Networks, where he led manufacturing efforts, established OEM/ODM business partnerships, and enhanced their worldwide footprint prior to an acquisition by Siemen’s AG for $1.5 billion. Sean’s prior experience also includes work as an investment banker and operating partner with DH Capital, a New York investment bank focused on strategic growth financing for internet infrastructure, telecommunications, and software as a service firms. Sean continues to be an active technology investor, and he maintains multiple board and advisory roles. He has a Bachelor of Science degree in Finance and Banking from the University of North Florida, as well as an Master of Business Administration from Regis University. 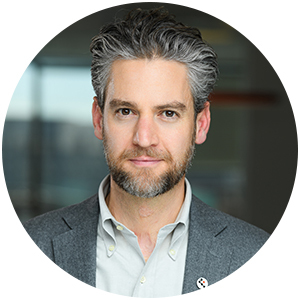 As Chief Technology Officer, Matt is responsible for product development, managed and professional services, and architecting Faction’s cloud infrastructure offerings. 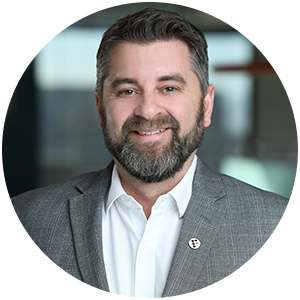 Prior to Faction, Matt has worked 20 years in technology in roles at both startups and Fortune 500 companies, including leadership roles at Level 3 Communications, ViaWest, Exodus Communications, and others. 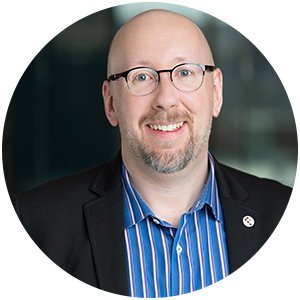 Matt is the co-author of “Securing the Virtual Environment: How to Defend the Enterprise Against Attack,” one of the first books to holistically address cloud security concerns. Matt attended the University of California at Santa Cruz and is an official member of the Forbes Technology Council. Eric has been with the company since its founding and has grown with the business into his role as Vice President of Operations. Eric is responsible for all aspects of technical operations at Faction, which includes 24/7 support, client onboarding, and implementation, as well as platform uptime and engineering. Eric earned a Bachelor of Science in Business with a focus on Information Systems from the University of Colorado, Boulder. Pete Bell joined Faction in 2018 and leads the company’s direct and indirect sales. He brings with him an extensive background in integrating business and technology strategies to help Faction continue driving its record growth. In his new role, he will be responsible for business development and Faction’s sales, solution engineering, and sales operations. 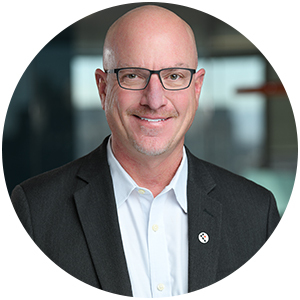 Pete has more than 25 years of successful global sales leadership experience in North America, Europe, and Asia where he has built, recruited, managed, and grown sales operations. Pete has a Bachelor of Science in Mass Communication from Emerson College in Boston. Duan joined Faction in 2018 and leads all aspects of marketing, including go-to-market strategy, branding, demand generation, product marketing, and positioning. Prior to Faction, Duan was the General Manager for Microsoft Azure Managed Services at Rackspace. Duan spent over 12 years at Rackspace, driving significant growth in a number of different product lines including private cloud, public cloud and managed hosting. Duan brings more than 20 years of experience in IT, cloud, and managed services, spanning global leadership roles in South Africa, the U.K., and the U.S. Duan earned an Master of Business Administration with a focus on Business and Technology Strategy from the Open University in London. Fernando joined Faction in 2018 and is responsible building the software and APIs for internal and external users of the Faction Cloud. He has more than 20 years of experience as an individual contributor and technology leader. 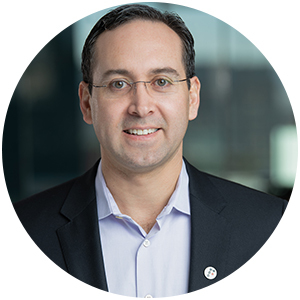 Fernando has built high-performing teams and critically acclaimed software products that have been featured in the Wall St. Journal, Bloomberg, and other major media outlets. Fernando graduated with a degree in Electrical Engineering and Computer Science from MIT. Brian joined Faction in May of 2018 and leads the Product Management organization. In his role, Brian is transforming the company portfolio to be a managed service, multi-cloud platform provider, enabling workload portability across cloud providers. Since starting at Faction, Brian has introduced groundbreaking solutions leveraging VMware Cloud on AWS and cloud-attached storage services. Prior to Faction, Brian has held numerous product leadership roles at organizations including Level 3, Time Warner Telecom, and Qwest Communications. Brian created the cloud-networking portfolio at Time Warner Telecom and led multiple joint development efforts with AWS, Microsoft, and Google. Brian holds a Master’s degree in Telecommunications from the University of Denver and a Bachelor’s degree in Business from Oregon State University. John joined Faction in 2012 and leads strategic technology and go-to-market relationships. In this role, he is responsible for developing go-to-market strategies, spearheading product integrations, aligning joint-services offerings, and driving marketing and enablement initiatives with our strategic alliance partners. Since starting with Faction, Drake has played a significant part in the company’s year-over-year double-digit growth. Prior to Faction, John served as Commercial Account Manager, Senior Technical Consultant, and Senior Systems Engineer at EMC Corporation, where he managed all commercial accounts for their Rocky Mountain Region. He brings to Faction more than 17 years of experience in the IT industry. John holds both a Master in Business Administration from the University of Colorado as well as a Bachelor of Arts in Business from Regis University. Josh is responsible for Faction’s strategic account development, sales, and enablement strategies. He was promoted to the role of Vice President after serving as Faction’s Director of Business Development from 2010 to 2011. Under his sales leadership, Faction grew sales more than 300 percent and expanded the company’s customer base by more than 5000 percent. Prior to joining Faction, Josh served in several sales management roles at technology companies such as ISC and CenturyLink, providing advanced networking solutions to government, education, and commercial markets. He holds a Bachelor of Science in Psychology from Colorado State University. To learn more about Luke, review his biography listed under his executive team position. David has 14 years of operating and entrepreneurial experience and 13 years of public accounting experience. 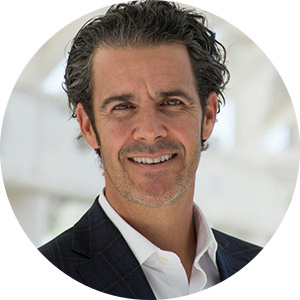 He is a founder and Managing Director of Meritage and currently serves on the Board of Meritage portfolio companies EdgeConnex, Digital Fortress, IP Commerce, and Faction. Formerly, he was the Executive Chairman of NuVox. He joined NuVox as Chief Executive Officer concurrent with Meritage’s investment in November 1999 and grew the company from annual revenue of less than $200,000 to more than $530 million. Windstream Corporation acquired NuVox in November 2009 in a transaction that valued the company at approximately $643 million. Prior to NuVox, David served as Chief Financial Officer at Brooks Fiber Properties immediately following the company’s formation in 1993 and continued in that role until its sale to WorldCom in 1998 for $3.4 billion. From 1981 to 1993, he was in public accounting with KPMG. William is the founder and Managing Partner of Sweetwater Capital, a family office private equity fund. Sweetwater invests primarily in communications infrastructure service business, taking advantage of Bill’s distinguished track record of more than 30 years as an entrepreneur and investor in many areas of wireless communications. Bill was also the founder, principal owner, and long-time Chief Executive Officer of AAT Communications, the largest privately-owned communications tower operator in the U.S. In addition, Bill was an original investor and served on the board of Metro One, the initial non-ROBOC cellular phone company serving New York City. William has successfully invested in companies in such diverse industries as rural cellular, personal communications services, private cable, distributed antenna systems, data centers, cloud providers, and land and marine communication. 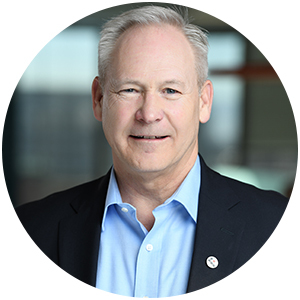 Mark is a C-level executive with 42 years of combined experience in operations, acquisition, finances, and technology, having served in the military and in companies ranging from $10 million to $1 billion in annual revenue. 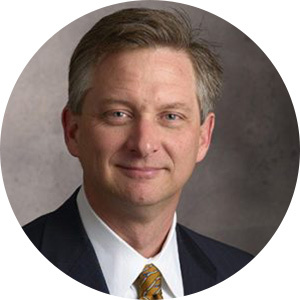 Mark is currently Chief Financial Officer of Advanced Concepts Technology International, a defense support firm delivering mission-critical total acquisition management and foreign military sales solutions to customers across the globe. He provides strategic planning and budgeting/program insight along with expertise in evaluating growth opportunities through merger-acquisition. 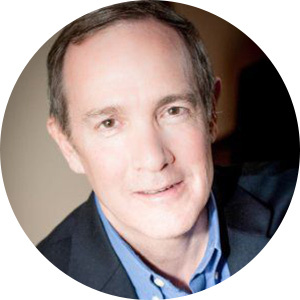 Mark serves on multiple company boards and as a technical/business executive consultant to the Air Force and intelligence community. Mark has also served as Chief Executive Officer for $10 million merged datacenter entities to ensure successful integration during transition. He was Executive Vice President of Operations at SunGard Availability Services, Inc., where he operated a $1.8 billion disaster recovery and managed services entity after having joined SunGard as the result of their acquisition of Inflow, where he led the financial and human resources operations as Chief Financial Officer. Prior to Inflow, Mark served 24 years in the Air Force, retiring as a Colonel. His last military position was as the principal personal advisor to the Under Secretary of the Air Force. He holds a Bachelor’s degree in Geospatial Science from U.S. Air Force Academy, a Master’s degree in Management Science from University of Dayton, and a Master’s degree in National Security Strategy – concentrating on Information Operations and Strategy – from the National War College. Derek co-founded Workhorse Capital in 2016, leading the firm’s strategic and operational direction. Derek represents Workhorse on the Boards of Directors of Datavail, Inc. and Traackr, Inc. Previously, Derek was a Managing Director of Meritage Funds, a multi-stage private investment firm, which he joined in 2003. He led Meritage’s efforts to reposition itself as a growth-equity firm during the firm’s 2008 formation of Meritage Fund III. Derek was active in the firm’s sourcing and marketing efforts, originating a number of the firm’s investments, including EdgeConneX, Faction, and Crisp Media. Derek continues to represent Meritage on the Board of Directors of Faction. Previously, he held a number of operating and financial advisory positions in the tech-enabled services segment, including Chief Executive Officer of IP Commerce and Vice President of NetLibrary. Derek’s prior experience also includes work as an investment banker with the Wallach Company and A.G. Edwards & Sons. Derek is a graduate of Indiana University and The Kellogg School of Management at Northwestern University, where he graduated with honors. Prior to joining Sweetwater in 2010, Gordon was managing partner of Merchants Capital Partners, a middle-market private equity fund based in New York which made investments in recurring revenue service businesses including telecommunications services. 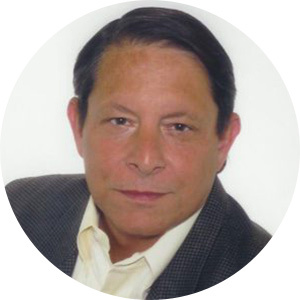 Prior to joining Merchants Capital in 1999, he worked for 12 years as an investment banker, primarily with Dean Witter Reynolds Inc. Gordon received his undergraduate degree from Princeton University and his Master in Business Administration from Columbia Business School. Rob is currently a member of the boards of Faction, Lattice Engines, DialogTech, and PerfectServe and an observer at Building Engines and Label Insight. Rob served as a board member at MedPlast (sold to Water Street and JLL Partners), Trax Technologies (sold to Strattam Capital), and observer to the boards of MX Logic (sold to McAfee) and invivodata (sold to ERT). Rob also serves as a member of the board of directors of the Christ Hospital Health Network, where he chairs the quality and patient safety committee. In addition, he serves on the board of the Elizabeth Gamble Deaconess Home Association, a foundation dedicated to improving healthcare in Cincinnati. 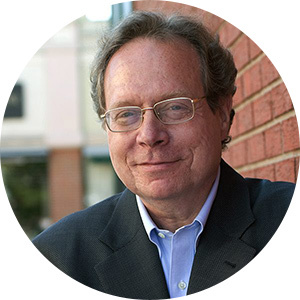 Rob is also trustee emeritus of Starfire Council of Greater Cincinnati and is a member of the University of Virginia’s regional selection committee for the Jefferson Scholarship Program. 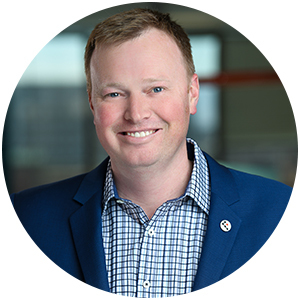 Rob joined River Cities in early 2004 with operations and investment experience in venture-funded technology companies with particular expertise in M&A transactions, channel development, and corporate strategy. Prior to joining River Cities, Rob was at Intelliseek, Inc., a marketing services company backed by River Cities, which successfully sold to Nielsen, Inc. Rob holds an Master in Business Administration from the J.L. Kellogg School of Management at Northwestern University, where he graduated with distinction. He also holds a Bachelor of Science in Accounting from the University of Virginia and is a certified public accountant. To learn more about Sean, review his biography listed under his executive team position.